Kilter Termite and Pest Control has been providing termite treatment services for homeowners in Glendale, California, and all surrounding areas since 1991. Since this time, we’ve earned an outstanding reputation for the reliability and effectiveness of our services. In fact, we were named one of the best pest control companies in the nation by the leading industry publication Pest Control Technology. 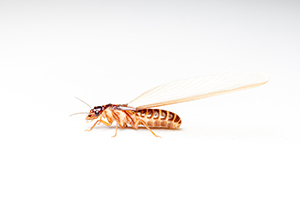 We understand how dispiriting it is to have a termite infestation, which is why we make every effort to make getting the termite control service you need easy and affordable. We’ll start by sending one of our skilled technicians to your home to provide a free termite inspection. After providing you with a complete assessment, we can review your termite treatment options. Our customers are happy to learn that, in most cases, fumigation isn’t required to rid their homes of termites. Rather, we use the KILGUARD termite control system, which doesn’t involve noxious odors or fumes. Because it is not toxic to humans or pets, you won’t be forced to leave your home and stay at a hotel while treatment takes place. Best of all, we guarantee that our treatment system will completely eliminate termites in your home and prevent them from returning – a claim we back with a two-year warranty. Don’t delay. Contact Kilter Termite and Pest Control today to learn more about our services and schedule a free termite inspection at your home in Glendale, CA, today.